Gaza Freedom Flotilla, which took to the road two months ago and visited more than 15 harbors in Europe, departed from Italy — its last stop. Three boats carrying medical supplies and activists, are going to Gaza through Mediterranean Sea to take the world’s attention to the blockade of Gaza. IHH Humanitarian Relief Organization is one of the organizers of the flotilla. Names of the boats: Return (AlAwda), Palestine (Falastine), and Freedom. 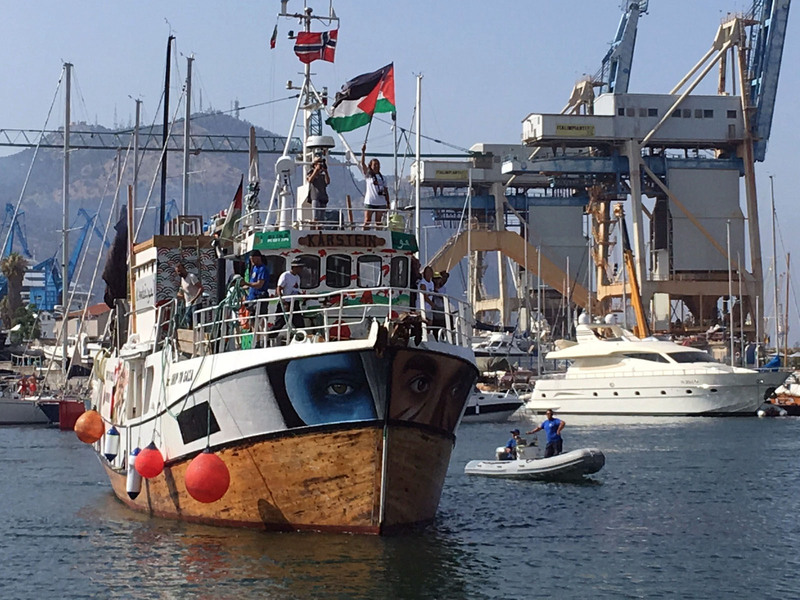 Activists in the flotilla, who set off on the May 15 in Norway and Sweden to break the blockade of Gaza which has imposed on since 2006 by Israel, informed people about the blockade in the visited harbors. Participants of the flotilla aim to raise awareness and create public opinion for Gaza. Eight years ago, Mavi Marmara which began to sail to break the Gaza Blockade and carried more than 500 people, was attacked by Israeli occupation forces. Unarmed ten humanitarian activists were martyred and dozens of people were injured after the Israeli attack in the international waters on the May 31, 2010. Humanitarian crises in all Palestine, and especially in blockaded Gaza, have gone on since the foundation of Zionist Israel. Israel maintains to ignore the international law and disregard humanitarian values.